tart cherries. Cherry Salsa is one way to show how versatile the Montmorency tart cherry really is. 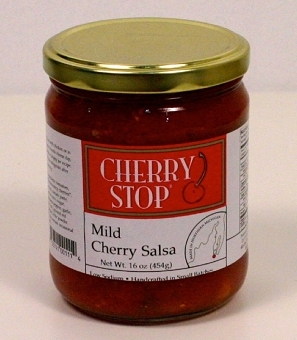 This fantastic salsa is made from vine-ripened tomatoes, onions, jalapeño peppers, and of course, tart cherries. We leave the cherries whole and dice everything else, so you can see the cherries in our salsa. The cherries give the salsa a subtle sweet, tart flavor that is unmistakeable. Perfect on chips, or baked over chicken. We put a jar in our favorite chili recipe.